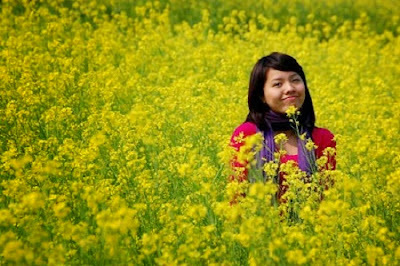 Coming to Hanoi in different times, you are likely to admire a different image of Hanoi in its air and flowers. Hanoi – the capital city of Vietnam is endowed by the Nature with numerous featured flowers which you can only see in certain months. 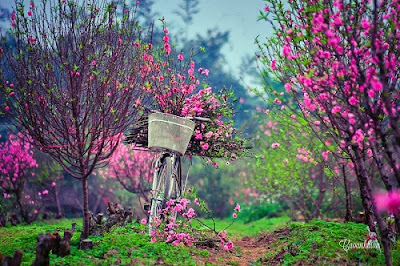 Upon arrival of spring, we will meet the image of bicycles bringing branches of peach blossoms along every street, from the big ones to the small lanes of Hanoi. 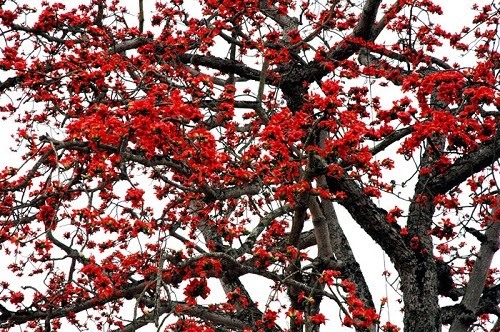 It is the small beautiful blossoms that remind us about the arrival of another warmly Tet – the biggest holiday in Vietnam – a rare chance for family members who live far from each other to gather and enjoy cherry moments. 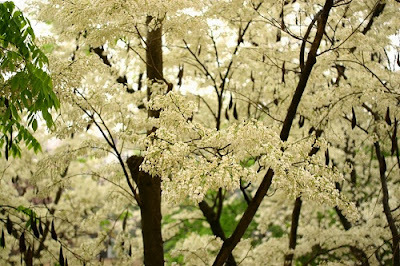 If you take a tour in Hanoi in the late February or early March of lunar calendar, you will see a Hanoi shining with the pure white color of Hoa sưa. Hoa sưa is very beautiful but its time is rather short. Suddenly, when you wake up in the early morning, you will see a white color covering the sky like an unexpected gift. But the blossoms will soon be gone with the wind, leaving space for green leaves. 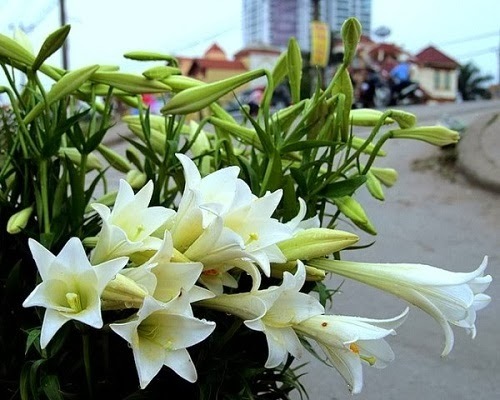 Bombax flower which has also known as Mộc mien or Pơ Lang flowers is very popular in villages of Northern Vietnam in general and in Hanoi in particular. This kind of flower is associated with the childhood of many generations. Its blooming remind us a nearly end of the spring and a sunny summer is coming. The image of blazing red bombax flowers offers Hanoi a peaceful beauty. 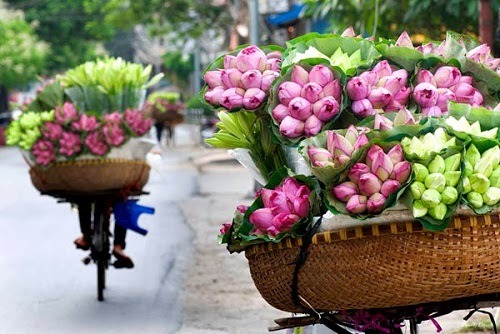 Upon arrival of April in Hanoi, mixed together with the summer sounds is the image of bicycles of lily flowers reaching every corner of Hanoi. 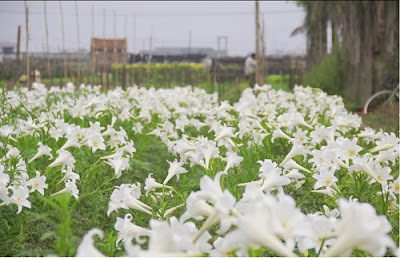 Seemingly, almost everyone want to spend some of their time stopping at the vendors and bring some branches of lily which owns a pure white and perfume. Banaba and flamboyant flowers are those which are associated with the one of the most innocent moments of a person – the moment of being a student. These two types of flowers go one by one create a long summer. When the violet color of banaba flowers becomes fainted, we start seeing blazing red flamboyant flowers along the streets. When you see June touching Hanoi is the time you also see its symbol – lotus. With its beauty and perfume, lotus is in the favorite list of every Hanoian. It is not for decoration, it is for taking photos also. To pick the best lotuses, the lotus picker must wake up in the very early morning, paddling their boats along maze of lotus leaves and pick the fresh lotuses. Many Hanoians like sunflowers. Bikes covered by blazing yellow color attract the eyes of all people on the street. 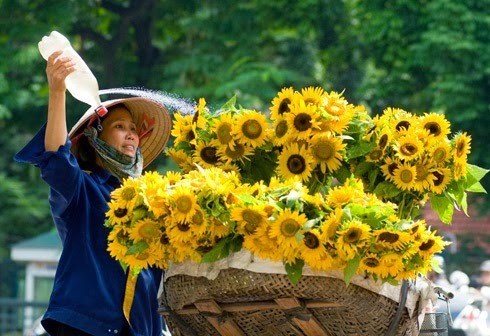 Together with sunflowers, July in Hanoi is associated with the image of aragonite flowers – a gentle flower of summer in Hanoi which is not known by many people. 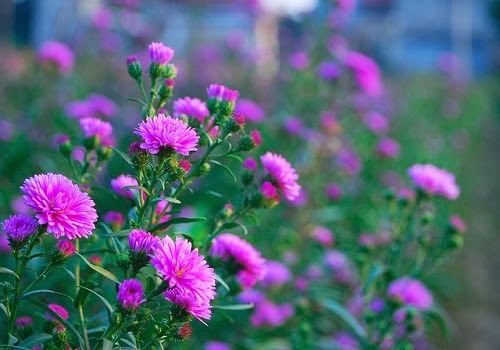 Due to it very small size, people is unlikely to see the aragonite flowers if they do not pay their attention. When the soil is wet by showers – typical of summer in Hanoi is the time we see image of thousands of thousands of tiny clausena excavate burm flowers blooming. And they will sway lightly in the wind of the summer. When thinking of the autumn in Hanoi, people often think of the image of milk flowers. Bundles of lightly yellow flowers with fragrant perfume have entered into songs of Hanoi in a very natural way. 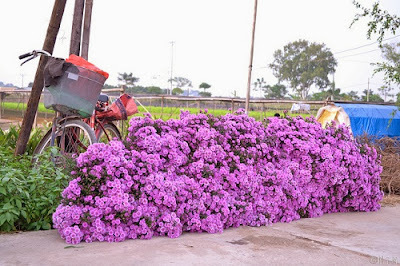 With the fast pace of life, people can sometimes forget the date or month, but only an unexpected sweet scent of the milk flowers is enough to remind us about the arrival of another autumn. Daisy is the featured flower in the transition of autumn and winter. 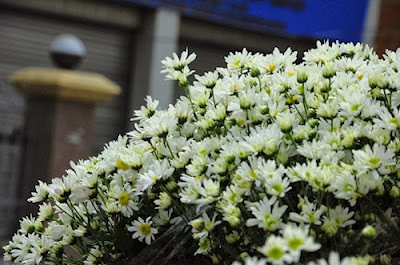 Daisies are in various colors from yellow to white, all making an attractive Hanoi. 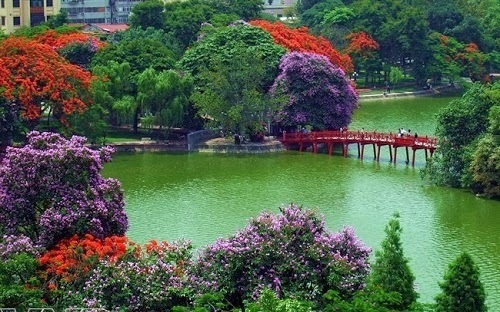 November in Hanoi is associated with violet color of forget-me-not flowers. 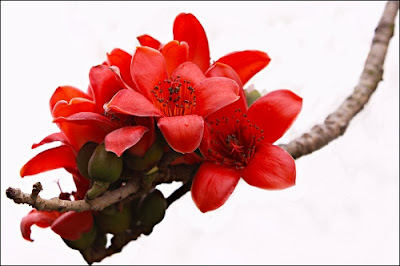 For many people, this kind of flower represent the faith in love.